A student team worked on a GIS resource presenting data from the Mississippi Valley of the mid-nineteenth century – the place that Mark Twain wrote about in his most famous works. Mark Twain made the Mississippi Valley in the nineteenth century an integral part of American historical memory and mythology in The Adventures of Tom Sawyer (1876), Life on the Mississippi (1883), and The Adventures of Huckleberry Finn (1885). This experiential learning class will provide students with an opportunity to gather and present different types of data using Geographic Information Systems (GIS) technology, in order to compare Twain’s fictional descriptions with that provided by the historical record. Students will work with an existing web site, Mark Twain’s Mississippi (https://twain.lib.niu.edu), which provides a fully searchable and indexed digital library of primary source materials. 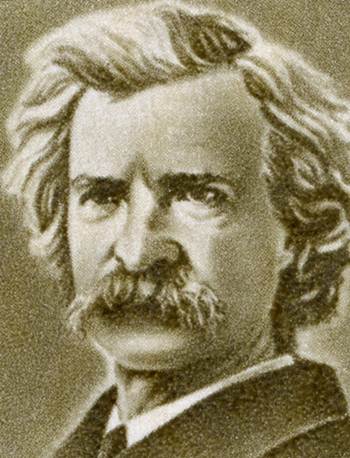 In addition to Twain's celebrated Mississippi works themselves, collected text materials include his known correspondence from the period that he trained and served as a river pilot as well as steamboat passengers' travel narratives and accounts and descriptions of individual cities, plantations, and other notable sites along the Mississippi. These materials feature contemporary discussions of major issues that Twain raised in his Mississippi River works, including race and slavery; western settlement and conflicts with Native Americans; the emergence of a new American economic order replacing Twain's world of villages and steamboats with railroads and factories; the development of genteel culture and westerners' reactions to and interpretations of it; and America's sectional crisis, Civil War, and Reconstruction. Student team members used Geographic Information Systems technology to extract and examine Twain’s and his contemporaries’ descriptions of individual locations along the Mississippi, as well as federal census data and election returns. At the end of the semester students will present their project describing how they did their work and how it bears on historical and literary hypotheses.